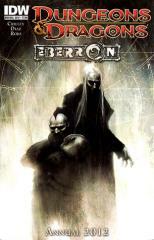 Welcome to Eberron – a world of swashbuckling action and dark fantasy, a world ruled by great dynasties and tempered by war, and a world that is home to Abraxis Wren, the most famed of all Inquisitives! With his assistant, Torin, by his side Wren takes a vacation aboard a luxurious lightning rail, the Breland Express. But what he finds is far from relaxing…as he finds himself caught in a murder mystery with terrifying implications!